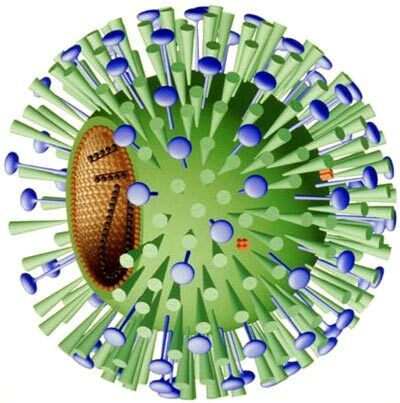 Influenza viruses belong to the family Orthomyxoviridae. The viral particles are about 80-120 nm in diameter and can be spherical or pleomorphic. Their lipid membrane envelope contains two glycoproteins: hemagglutinin (HA) and neuraminidase (NA). These two proteins determine the subtypes of Influenza A virus. There are 16 H subtypes and 9 N subtypes known, but only H1, H2, H3, N1, and N2 are commonly found in human.